Please register to see the price. In this video we attempt to explain how a rotor stator pump works exactly. There are many different types, depending on the material you are working with and the output you want to achieve. If you are not certain about which rotor stator pump is right for you, get in touch. Our team will be happy to help. 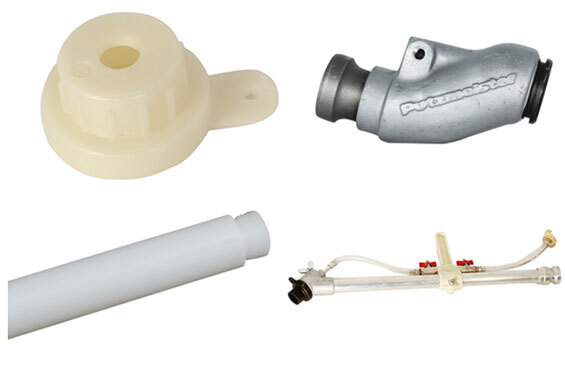 We offer customers from all over the world plastering machines and mixer pumps as well as their spare parts and accessoires. Putzparts is based in Germany and delivers parts and machines to customers in a variety of different industries, ranging from construction to refractory tundish spraying and steel. We provide accessories for all the big brands, such as Putzmeister, PFT, Ülzener and M-Tec. The Putzmeister MP-25 machine as well as the Ülzener S48 belong to the most popular plastering machines. We offer our customers a big choice of different rotor stators, as well as all the other accessoiries needed for plastering machines. Our service team has a longlasting experience in the field and is always more than happy to give advise and listen to your situation. We also offer custom made solutions, so don't hesitate to get in touch. Not all of our parts are listed on these pages, especially the parts that are used for heavey duty appliances in the steel and refractory industry. So if you are interested in anything that you cannot find in our shop, please contact us directy. We work closely with the leading manufacturer of rotor stator pumps in Germany. This means that we can provide you with any rotor stator model that you require. Rotor Stators come in various shapes and sizes. We will also gladly work with you on finding the perfect model that will fit your needs, depending on the machine you are working with and the amount of material you want to pump per minute. We carry all the spare parts you need for Putzmeister S5 or Putzmeister SP11, Putzmeister MP25, M-Tec Duo Mix, Monomix, Uelzener Putzknecht S48 and many more.